The 31-year-old eight-time Olympic champion, who retired from athletics last year, is an avid Manchester United fan who has long wanted to play top-flight football. 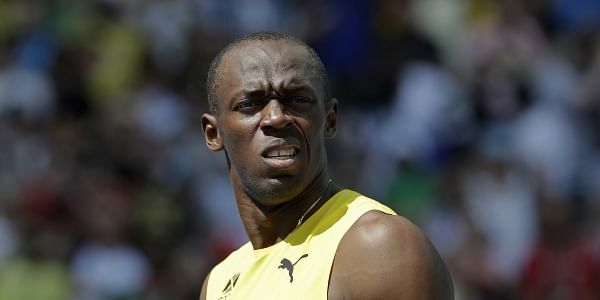 SYDNEY: Usain Bolt will be given as long as it takes to prove he deserves a playing contract, the Central Coast Mariners said Wednesday after the Australian club agreed to help the sprint king realise his dream of becoming a professional footballer. He has already tried out with teams in Germany, Norway and South Africa, to no avail. Undeterred, the A-League club have agreed to see what he has to offer with the sprint legend set to arrive at their training ground in Gosford, 75 kilometres (47 miles) north of Sydney, later this month. "It's important to note that Usain Bolt comes to the Central Coast Mariners to train for an indefinite period. His training program will be structured to see if he can reach a level of playing that earns him a professional contract," said Mariners chief executive Shaun Mielekamp. "This may take three weeks, this may take three months, this may take six months. This make take longer, who knows. Only time will tell. "It's exciting to see what this will do for our region but the importance for us right now is to look after an athlete who's coming to try and become a professional player." Bolt, who has agreed to live on the Central Coast, said he was thrilled to be given another chance to showcase his abilities ahead of the A-League season starting in October. "I am very excited about coming to Australia and would like to thank the owner and management of the Central Coast Mariners for giving me this opportunity," said the Jamaican. "It has been my dream to play professional football and I know that it will involve a lot of hard work and training to get to the level required to play and make an impact in the A-League. "I always say that 'anything is possible, don't think limits' and I look forward to the challenge." The 100m and 200m world record-holder has previously trained with Norwegian club Stromsgodset, German Bundesliga side Borussia Dortmund and South Africa's Sundowns. Asked what Bolt needed to do to win a contract, Mielekamp said: "Impress the coach." "He has to get to a level where the coach is confident he'll play regular football and once that decision is reached, then he'll be offered a playing position," he added. Some fans on social media blasted the decision to take on Bolt as a publicity stunt, but Mielekamp said they would not be trying to cash in on his name until he proved himself. "It not about having a gimmick or a campaign -- Usain isn't a contracted player so we won't be launching him with a number or anything yet. Time will tell as things grow."